This is an AR-15 rifle. 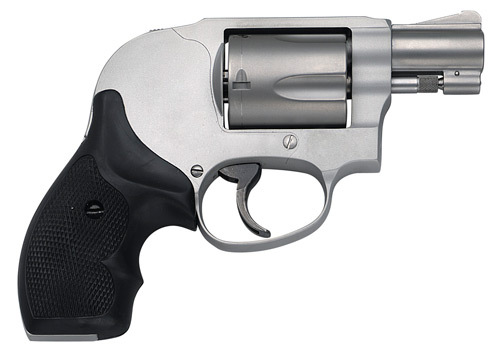 It is the most popular rifle sold in the United States today. Millions have been sold to American citizens since 1963. The AR-15 is the most common example of what are sometimes called assault weapons. But what does this term actually mean? Prior to 1989, the term "assault weapon" did not exist in the lexicon of firearms. It is a political term, developed by anti-gun publicists to expand the category of "assault rifles." If an assault weapon is not an assault rifle, what is an assault rifle? This is a M4A1 carbine. It is a U.S. military service rifle. It is also an assault rifle. The M4A1 is fully automatic. This means it fires multiple rounds each time the trigger is pulled. The M4A1 can fire up to 950 rounds per minute. The M4A1 and other fully automatic firearms are also called machine guns. In 1986, the Federal government banned the sale or transfer of new machine guns to civilians. Like the majority of firearms sold in the United States, the AR-15 is semi-automatic. This means it fires one round each time the trigger is pulled. The AR-15 can fire between 45 and 60 rounds per minute depending on the skill of the operator. This rate of fire is comparable to other semi-automatic firearms, but pales in comparison to fully automatic assault rifles, some of which can fire more than 1,000 rounds per minute. What some people call "assault weapons" function like every other normal firearm—they fire only one bullet each time the trigger is pressed. 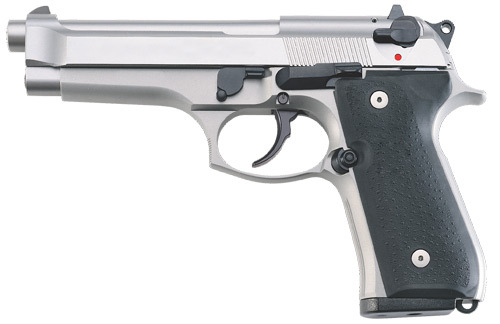 Unlike automatics (machine guns), they do not fire continuously as long as the trigger is held. ... Today in America, most handguns are semi-automatics, as are many long guns, including the best-selling rifle today, the AR-15, the model used in the Newtown shooting. Some of these guns look like machine guns, but they do not function like machine guns. All of these guns fire one round each time the trigger is pulled. ...and this semi-automatic rifle an assault weapon? [H]andgun restriction is simply not viewed as a priority. Assault weapons ... are a new topic. The weapons' menacing looks, coupled with the public's confusion over fully automatic machine guns versus semi-automatic assault weapons—anything that looks like a machine gun is assumed to be a machine gun—can only increase the chance of public support for restrictions on these weapons. In the late 1980s, more than two decades after the AR-15 was first sold to the American public, the anti-gun lobby began a systematic campaign to conflate it and other "military-style" firearms with machine guns. The media followed suit, and soon the American public began to think that an assault weapon was, like the assault rifles it resembled, a machine gun. This strategy came to fruition in 1993, when the Federal Assault Weapons Ban (AWB) was introduced in Congress. The AWB would ban the sale of new assault weapons to American civilians. However, since "assault weapon" was an invented term, it had no technical meaning. Before assault weapons could be banned, legislators had to define them. Because assault rifles were already banned, and because an outright ban on semi-automatic firearms wasn't considered politically feasible, the AWB defined assault weapons as semi-automatic firearms that shared too many cosmetic features with their fully automatic counterparts. ...and pistol grips, none of which actually made the firearms more lethal. According to a Department of Justice study, the firearms that the AWB would ban were used in only 2% of gun crimes. Nevertheless, the AWB's passage was aided by the fact that many Americans believed the bill would ban machine guns and "weapons of war," something that had, in fact, already been banned. The AWB also banned magazines having a capacity higher than ten rounds. This restriction applied to all firearms, not just so-called assault weapons. To secure enough votes to pass the bill, a sunset provision was added. After ten years, the AWB would end. [N]o one should have any illusions about what was accomplished [by the ban]. Assault weapons play a part in only a small percentage of crime. The provision is mainly symbolic; its virtue will be if it turns out to be, as hoped, a stepping stone to broader gun control. When the AWB became law, manufacturers began retooling to produce firearms and magazines that were compliant. One of those ban-compliant firearms was the Hi-Point 995, which was sold with ten-round magazines. In 1999, five years into the Federal Assault Weapons Ban, the Columbine High School massacre occurred. One of the perpetrators, Eric Harris, was armed with a Hi-Point 995. Undeterred by the ten-round capacity of his magazines, Harris simply brought more of them: thirteen magazines would be found in the massacre's aftermath. Harris fired 96 rounds before killing himself. Should it be renewed, the ban's effects on gun violence are likely to be small at best and perhaps too small for reliable measurement. [Assault weapons] were rarely used in gun crimes even before the ban. [I]t is not clear how often the outcomes of gun attacks depend on the ability of offenders to fire more than ten shots (the current magazine capacity limit) without reloading. Furthermore, legislators had misjudged the popularity of so-called assault weapons. In his memoir, Bill Clinton wrote that Democrats lost control of Congress in the 1994 midterm elections because of the AWB. Other Democrats have stated that the AWB may have cost Al Gore the 2000 presidential election. At Virginia Tech in 2007, Seung-Hui Cho again showed the futility of regulating magazine capacity when he carried nineteen ten- and fifteen-round magazines in his backpack as part of a carefully planned massacre. Cho used seventeen of the magazines and fired approximately 170 rounds—or ten rounds per magazine—from two handguns before killing himself. Like Eric Harris before him, Cho demonstrated that a magazine's capacity was incidental to the amount of death and injury an unopposed murderer could cause in a "gun-free zone." Although the Virginia Tech massacre was and remains the deadliest school shooting in U.S. history, it resulted in relatively few calls for new gun control, possibly because so-called assault weapons were not used. But after the Sandy Hook Elementary School shooting, the AR-15 and other so-called assault weapons were widely depicted as military weapons whose only purpose was to rapidly kill large numbers of people. In reality, so-called assault weapons are commonly used by hunters and competitors. It has been estimated that at least 3.3 million AR-15 rifles were sold in the United States between 1986 and 2009. In its ubiquity, the AR-15 is a modern musket—the default rifle with which law-abiding Americans exercise their right to keep and bear arms. 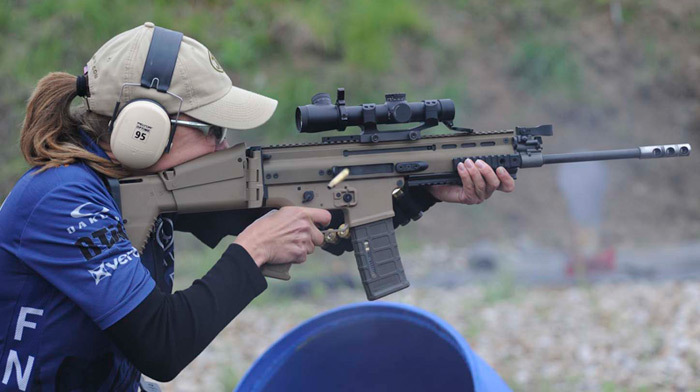 The AR-15 is particularly favored for its modularity, accuracy, light weight, and low recoil—attributes that make it ideal not only for shooting sports but also armed self-defense. As such, it is the epitome of what America's founders sought to protect when they wrote the Second Amendment to the Constitution of the United States. Nevertheless, on December 17, 2012, Senator Dianne Feinstein, the author of the original AWB, announced her intention to introduce another Federal Assault Weapons Ban in Congress. However, Senator Feinstein's own facts do not support her agenda. The truth about assault weapons is that they are underrepresented in gun crimes. According to Senator Feinstein, so-called assault weapons have been used in 385 murders since the AWB expired in 2004, or about 48 murders per year. But there were 8,583 total murders with guns in the United States in 2011, meaning so-called assault weapons were used 0.6% of the time. Further illustrating the small role so-called assault weapons play in crime, FBI data shows that 323 murders were committed with rifles of any kind in 2011. In comparison, 496 murders were committed with hammers and clubs, and 1,694 murders were perpetrated with knives. Insofar as the AR-15 is used in crimes, the rifle's popularity must be considered. Besides the AR-15, James Holmes used a best-selling and arguably more lethal shotgun at the Aurora movie theater shooting. At the Virginia Tech and Tucson shootings, Seung-Hui Cho and Jared Loughner used a best-selling handgun. All else being equal, a gun that is common is more likely to be used for legal or illegal purposes than a gun that is rare. 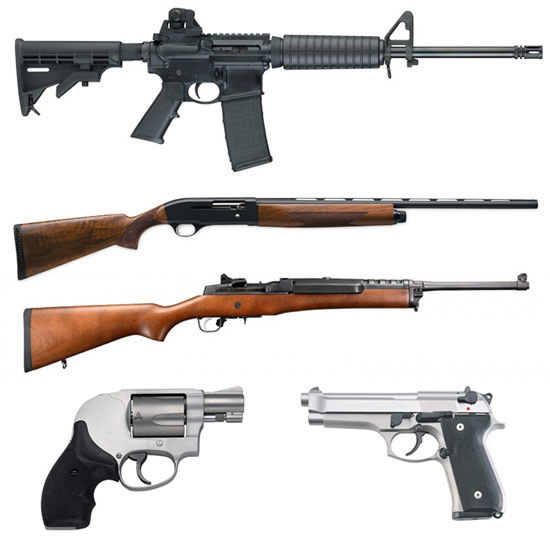 Outlawing guns that are popular today will only make different guns popular tomorrow. The truth about assault weapons is that there is no such thing. So-called assault weapons are semi-automatic firearms—the guns most commonly used by millions of law-abiding Americans. Banning firearms because of their cosmetic features is misguided. Contact your legislators, and tell them the truth about assault weapons. No corporation, lobby, or political action committee had any part in the creation or funding of this educational project. It is solely the work of an individual.